An oral examination is a visual inspection of the mouth, head, and neck, performed to detect abnormalities. Radiographs allow for a more complete examination, helping the doctor to detect cavities, problems in existing dental restorations, gum and bone recession or other abnormal conditions. A dental cleaning, also known as an oral prophylaxis, is the removal of dental plaque and tartar from the teeth. Specialized instruments are used to gently remove these deposits without harming the teeth. First, an ultrasonic device that emits vibrations and is cooled by water is used to loosen larger pieces of tartar. Next, hand tools are used to manually remove smaller deposits and smooth the tooth surfaces. 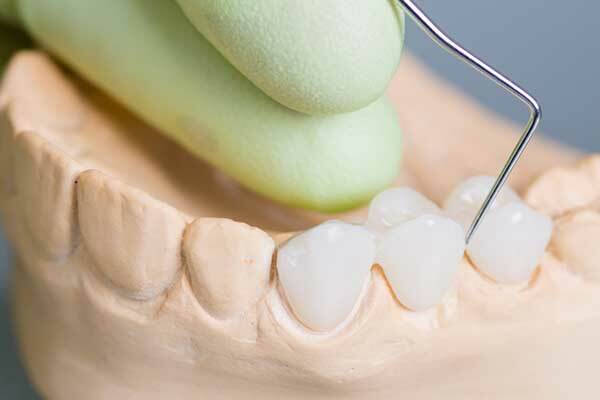 Once all the tooth surfaces have been cleaned of tartar and plaque, the teeth are polished. An inlay or onlay is a partial crown restoration that can be placed when there is not sufficient tooth structure to support a filling, but enough tooth structure left so that a full crown is not needed. Inlays/onlays are made of porcelain or gold, and they aesthetically and functionally replace the missing tooth structure. A crown is a dental restoration that completely covers the outside of a tooth that is cracked, broken, worn down, or severely decayed. 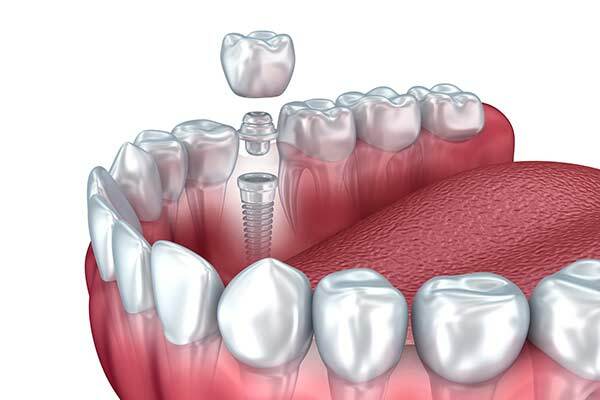 Dental crowns are usually completed in two visits. During the first visit, the tooth is prepared and an impression is taken. A temporary crown is placed while the permanent crown is fabricated. 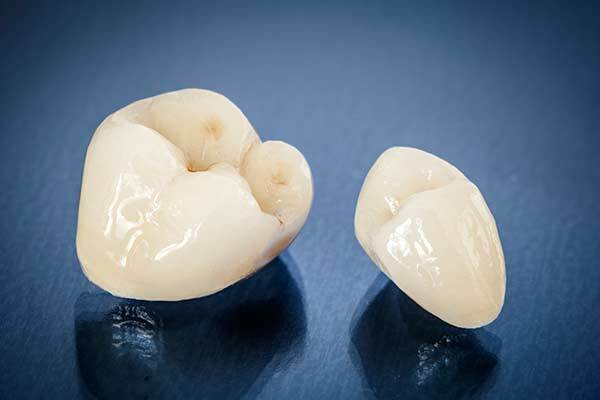 During the second visit, the permanent crown is carefully fitted and then cemented into place. Using new technology however, we’re often able to offer a one-visit procedure by creating the crown in our own hi-tech, in-house lab.